I have a few more December Daily pages to share today. So far I'm staying caught up, but it is taking a lot of time so I'm not sure how long I can keep this up. If only I wasn't such a slow scrapper it might be easier, but it takes me forever to make every decision even when I try to keep it simple. If I get behind I will just keep going until I'm finished. I am really enjoying this project more than I ever have in years past and I think it's partly because I'm doing one day at a time instead of waiting until after December to start. 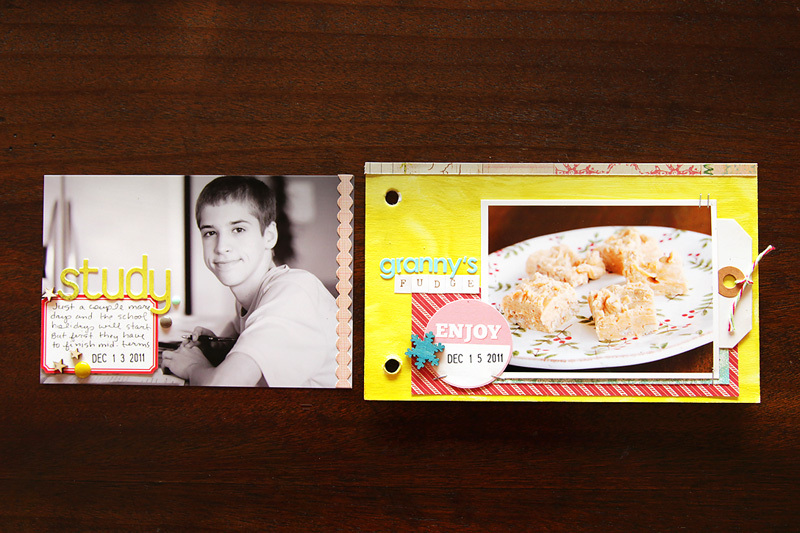 Over the weekend I downloaded some printable files from In a Creative Bubble to use in my album. 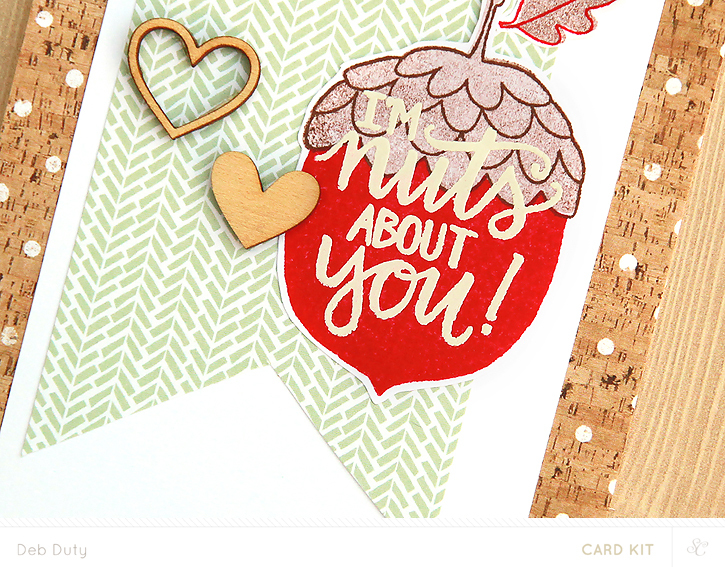 I really love Geralyn Sy's style and her journal cards and embellishments go perfectly with the Ali Edwards kit and Studio Calico products that I'm using. You'll see lots of them starting with day 5. Day 4 includes a collage of photos from Alec that he took throughout his first semester in college. I saw one on his phone and when I asked him to send it to me, I was thrilled that he sent every one he had! He texted me the photo of a tree on campus decorated for Christmas on the 4th so I decided to make this spread all pictures from him. The next spread covers days 5 and 6. Mason had a basketball game on the 5th so I included a photo from the game. I included a December calendar card and stamped a little star over every date he has a game in December. The next day I documented going to McDonald's for breakfast with him before his basketball practice. Day 7 is all about the Christmas tree that we finally decorated this weekend! I used one of the overlays from the kit, and printed my tree photo to fit the 6x8 pocket. That's all for now. I'll be back when I have a few more pages done! We're three days in and so far so good with my December Daily album! Since I didn't make foundation pages in advance, I've been very busy this week getting the first part of my album done. 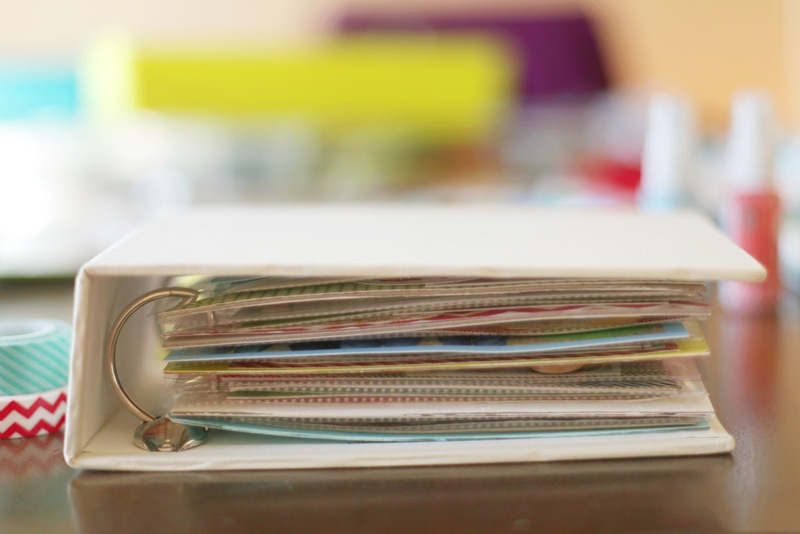 I am loving the process of documenting each day as it happens rather than my usual method of working a year behind. I'm able to include details that I otherwise would have forgotten since I'm terrible about writing things down. I always assume the photos will jog my memory, but of course I can't remember the little things a year later. 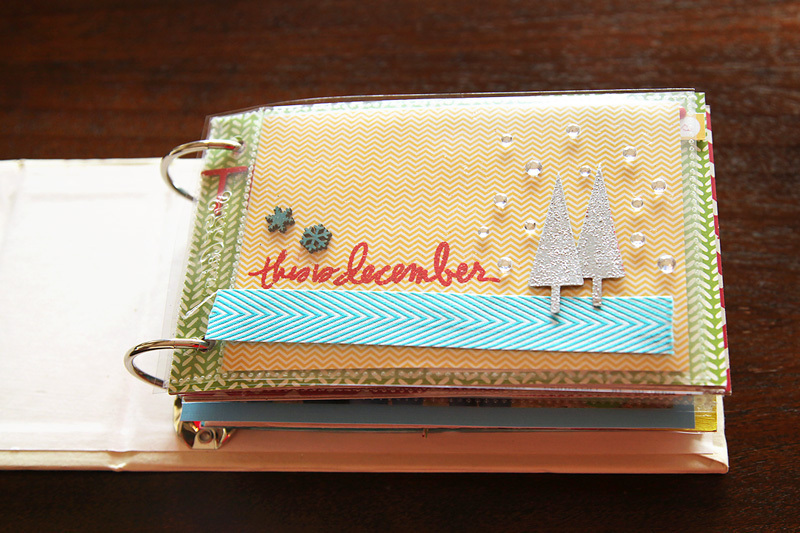 To start off my album I created a title page with some items from Ali Edwards' December Daily kit plus a few extras. 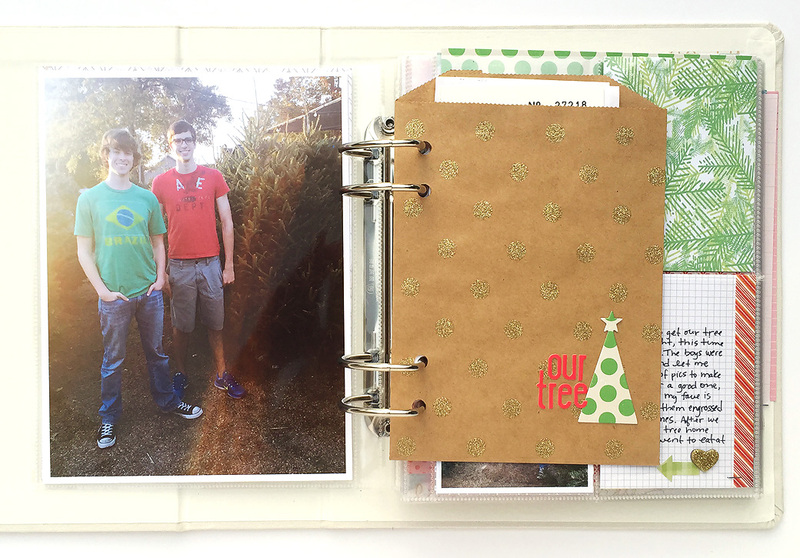 The tree was cut from this die out of a wide washi tape that was adhered to cardstock. The first spread documents our trip to pick out a Christmas tree which actually happened on November 30, but I wanted to include this important tradition. 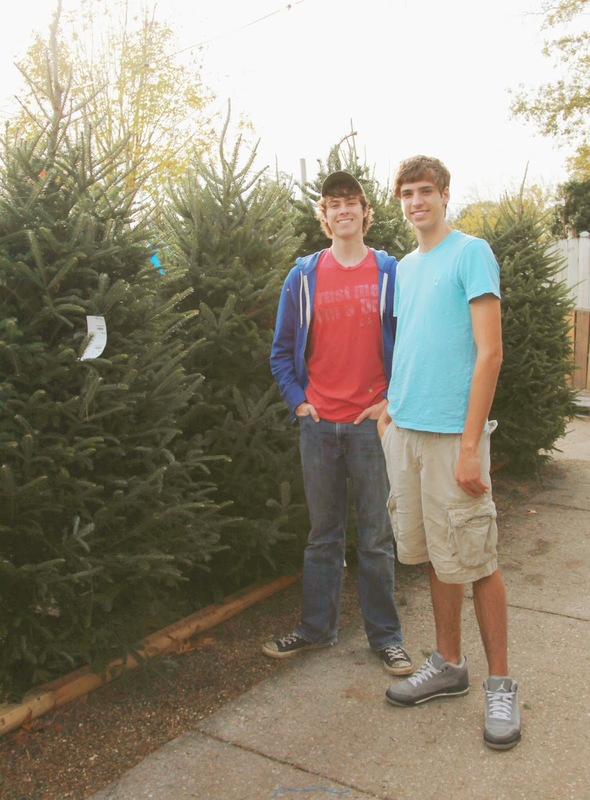 The photos I take of my boys at the tree lot are some of my favorites each year. 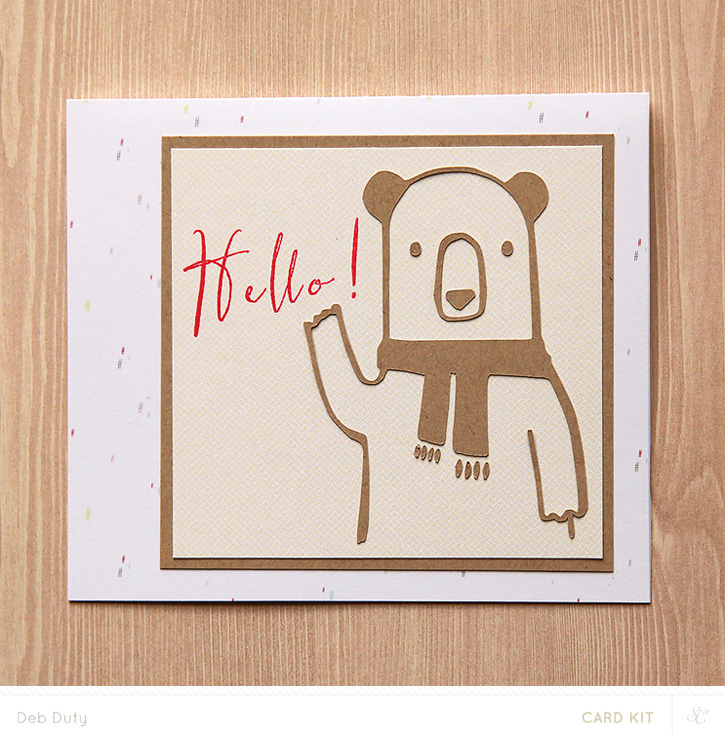 The kraft pocket came in the Studio Calico Park Ave card kit. I used it the keep the receipt for our tree. 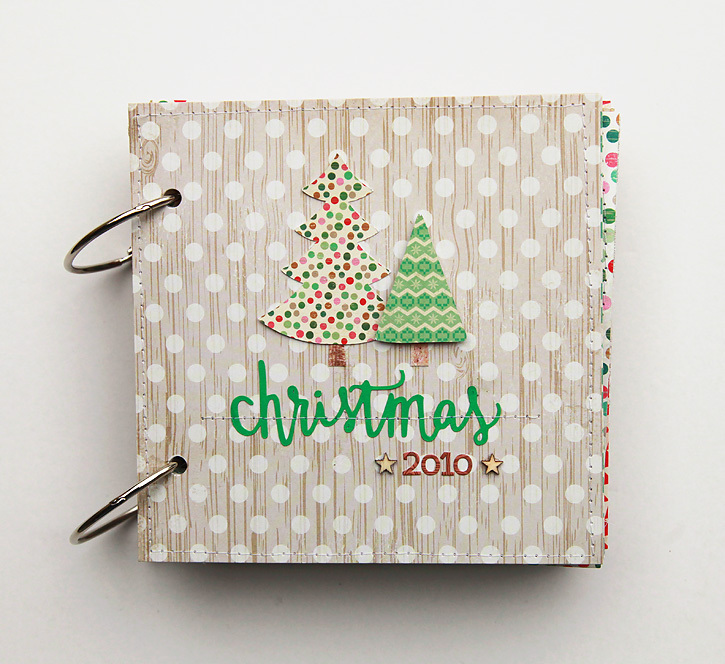 I used that same tree die to make the little polka dot tree on the front. That green dot paper is Crate Paper from a few years ago. 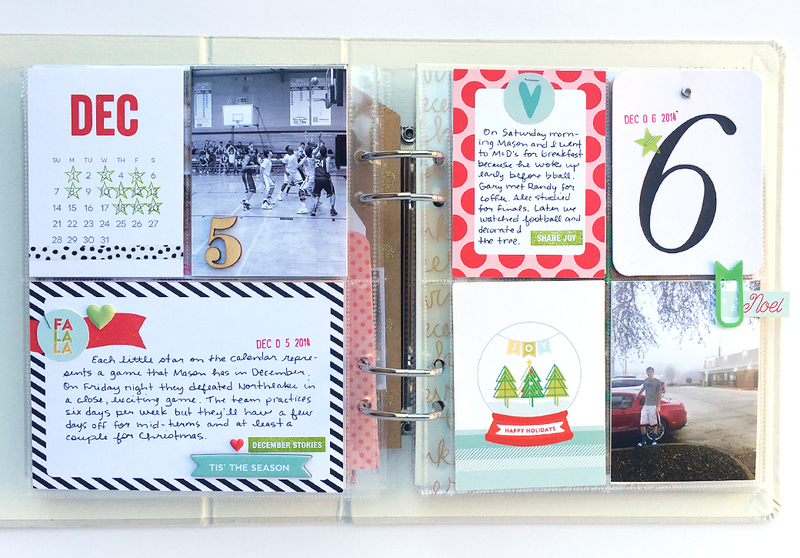 I've pulled lots of favorite things from my stash to use along with my December Daily kit. Pretty much all of the extras come from past Studio Calico kits. On days one and two I didn't take a lot of photos, but I included journaling about what was going on. I created a QR code for a short video I took at Mason's basketball game on December 1. It's so easy - I uploaded my video to youtube straight from my phone and used qrstuff.com to create the code. On December 2, the boys enjoyed their first eggnog of the year which I forgot to photograph so I staged a quick photo. I've got to remember to get back in the habit of taking photos every day! December 3 was a sad day. It was the last time working out with my trainer because she's moving away. I cut a pocket with my silhouette to add extra journaling. I may document December 4 in the pocket with the green paper or I may just add an embellishment (or maybe nothing) and move on to the next page depending on what story I end up telling. I am so ready for December Daily this year! In the past I've done a modified version. 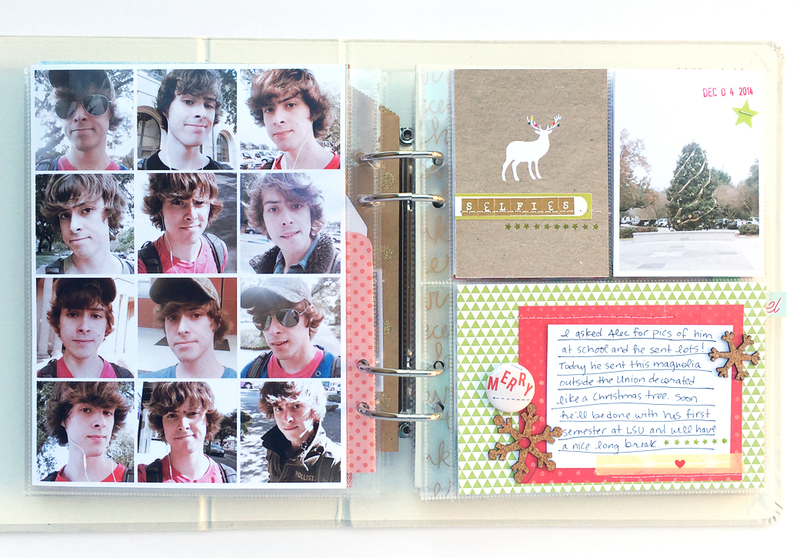 In 2012 I used Studio Calico's kit to put together an album documenting our 2011 Christmas. You can see more of the album here and here. 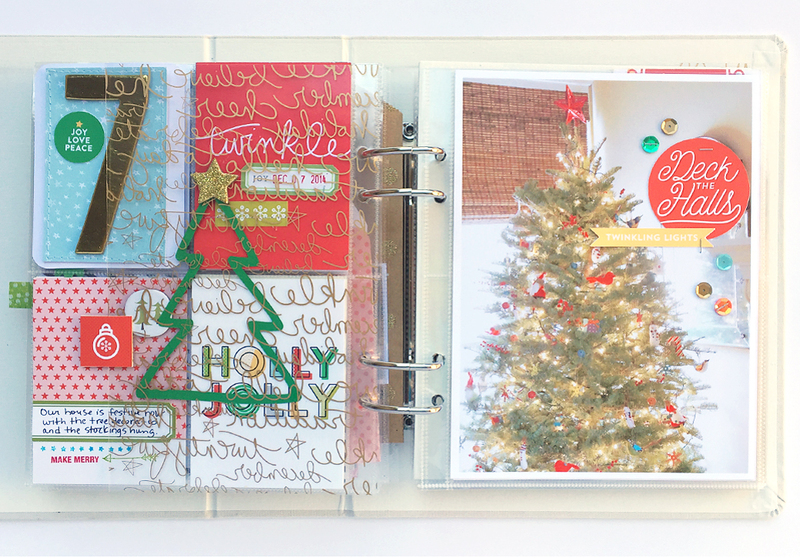 Last year I made a minibook with Crate Paper's Bundled Up collection about our 2010 Christmas. You can see the entire book here. Since Christmas 2013 hasn't been documented yet, and I have the Studio Calico kit just waiting to be used up, I've been working a little on that album this past week. This is my cover page - a tree made of little circles! I still have a long way to go on my 2013 album. I'll try to work on it a little more, but I'll have to abandon it soon in favor of this year's album and pick it back up again after Christmas. I hope it won't be too hard to finish because my least favorite part is mostly done, which of course is printing the photos. Now this year, I'm going all out and doing an actual daily album (rather than a recap of the month). I will probably skip a few ordinary days, and I'll add extra pages for days that have more photos (especially christmas eve and day). The great thing about this project is that you can make it whatever you want it to be! 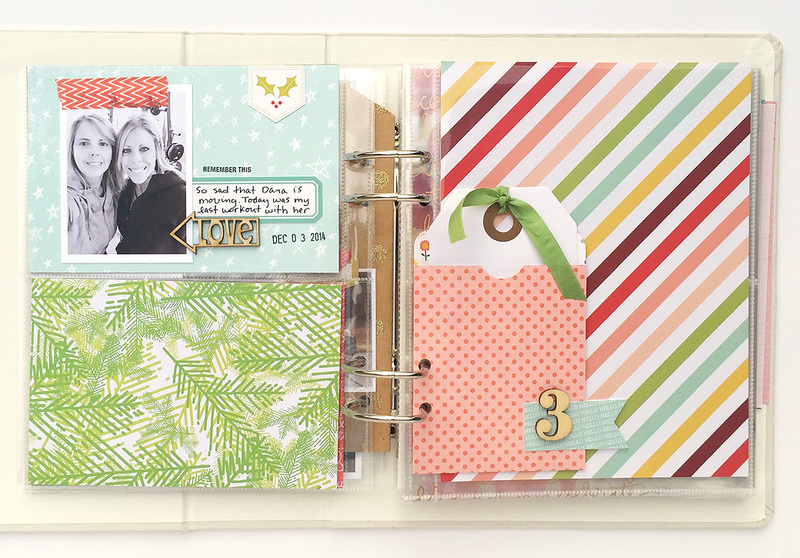 I'll be using Ali Edwards' December Daily kit, although I may add in a few things from my stash. I will be sharing this year's album on instagram (@debduty), and I may share some or all of it on my blog too. It just depends on how busy December gets! I'm happy that I will have the month off from Studio Calico for the first time in two years, and I'm hoping this extra time will mean I will be able to get it done and shared too! I don't plan on creating my base pages in advance. While I realize that works great for some people, including Ali (you can see her base pages here), I want to make the album a little bit at a time as the month happens. I like to know what the photo looks like for each page before I decide which papers, cards and embellishments to use. My first page of the album will be picking out our tree. It worked out perfectly last year. December 1 was the Sunday after Thanksgiving and the day we went to get our tree. But this year I think we'll go get it today (November 30). It may just be an extra day at the beginning or it may take the place of December 1, depending on what tomorrow brings. Here is last year's picking out the tree photo! 1. Take lots of photos, and try to remember every day. Remember that things that seem ordinary now will be extra interesting to look back on in years to come. I'll be mostly using my iphone. The photos you take don't have to be Christmas related. This is a page about my son studying for the finals that always fall in December. 2. For days with nothing going on, use filler photos. I like to include my favorite ornaments and decorations, or anything Christmas related that is general to the whole season and not just one day. Or you can always skip a day. No one will notice or care when they look back at your album! 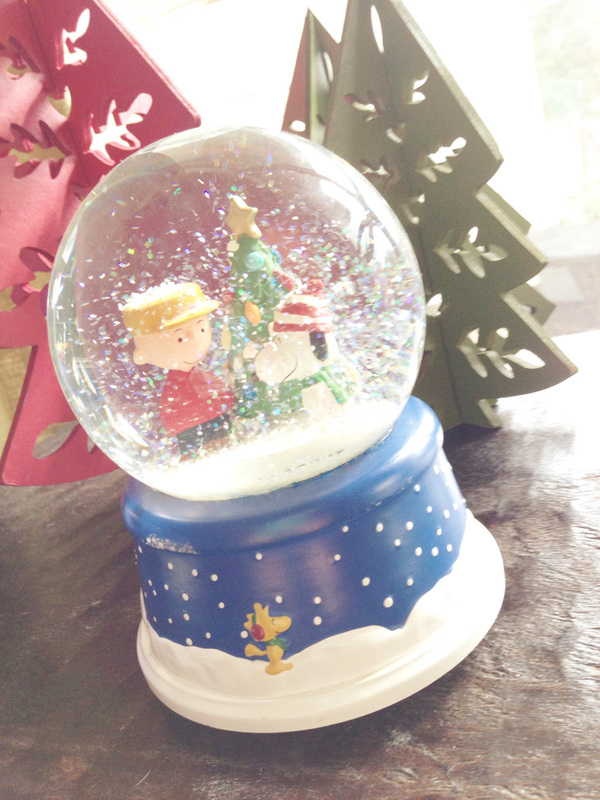 I always include a page about our Snoopy snow globe because it's my most favorite decoration from when the boys were little and I'm always so excited to get it out each year! 3. Work on it a little at a time. I plan on trying to at least print my photos each day and I will work on my pages as I have time. I will hopefully catch up and finish between Christmas and January 1. My album will end on December 25, but I know some people like to document the entire month of December. 4. Find lots of inspiration on Pinterest (I have a board here) and Instagram with the hashtag #decemberdaily. Also check out the member gallery at Studio Calico. Search December Daily or click this link and you will find lots of beautiful pages. Here's a screenshot of the latest as of today. 5. 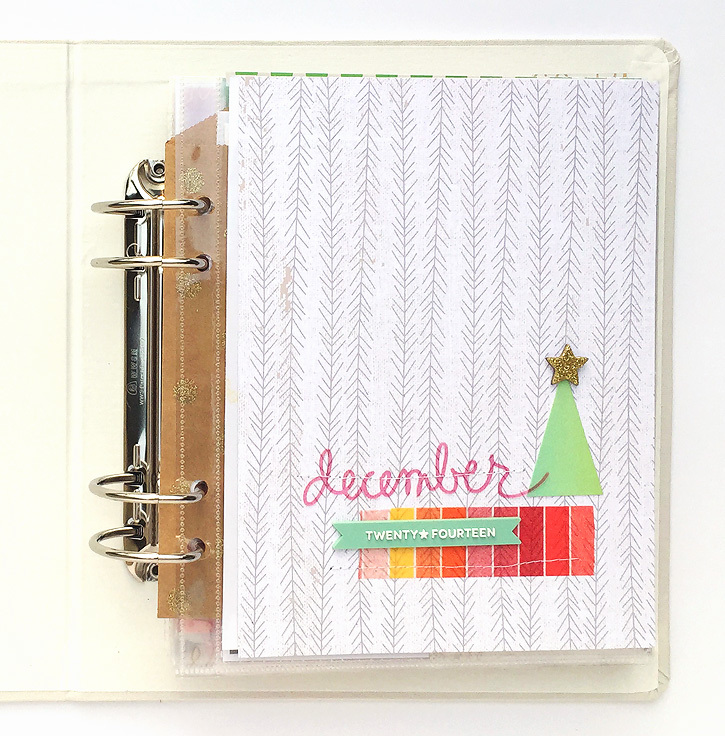 Check out "25 Tips to Rock Your December Daily" by rukristin. It's from a couple years ago, but includes lots of great ideas for your album. So that's all the advice I have for now. I hope you'll attempt to document your December in some way. These albums are my favorites to look back on. They're fun to create, although a lot of work too. But totally worth it! 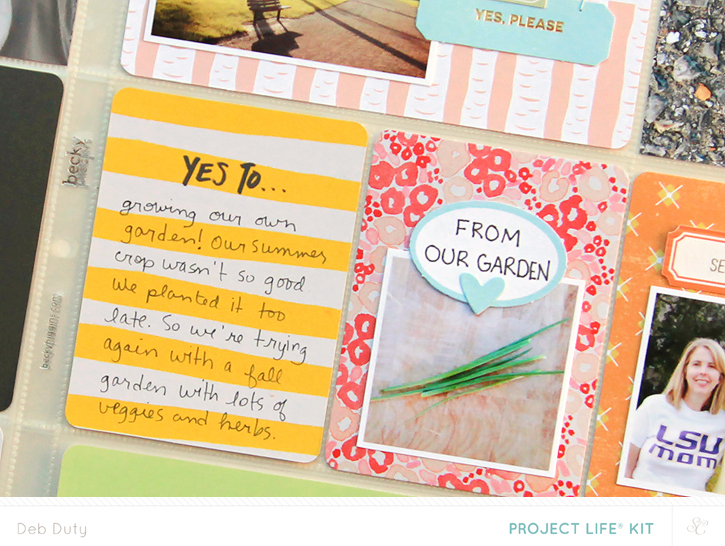 I'm sharing cards and Project Life spreads today made with the Studio Calico Park Ave kits. This was my last kit to work with as a full creative team member. Studio Calico is switching things up a bit by having a team of contributors in addition to the main creative team. I was so happy when I learned of this option because I was having a hard time deciding if I wanted to continue or step down. Being on the team for two years has been an amazing experience, and I'll always be grateful for the opportunity to work with my favorite scrapbook company, but I'm ready to take a step back and focus a little more on projects that I want to make just for me. 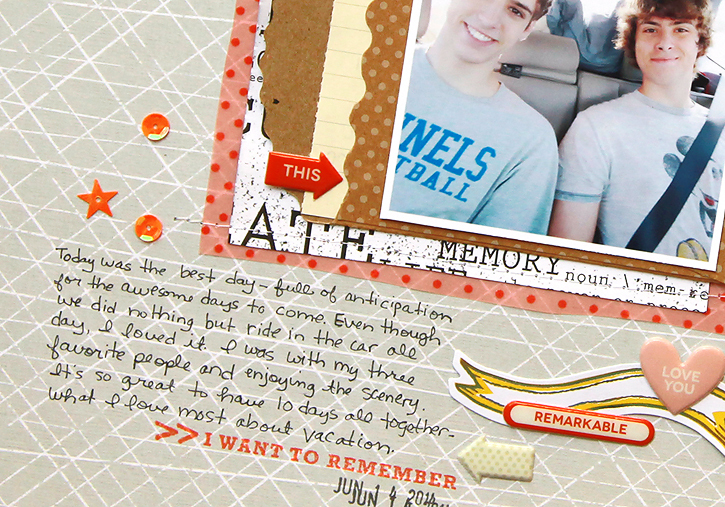 I still love scrapbooking and I have lots and lots that I still want to document! Check out the creative team gallery for lots more inspiration with the Park Ave kits! 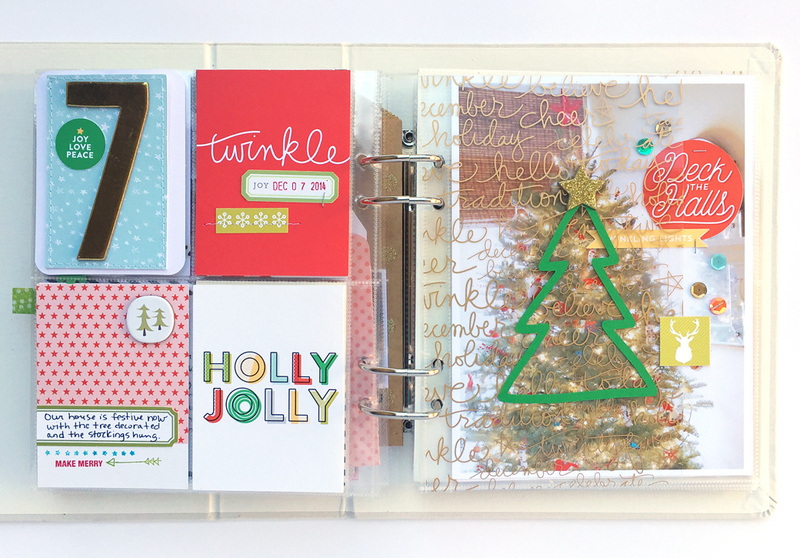 The December kits go on sale soon at Studio Calico! Actually, reveal falls on Thanksgiving this year. Subscribers can shop at noon Eastern, and everyone else can shop 12 hours later. The kits have such a lovely color palette this month with some pinks and purples thrown in! These two colors are not usually my favorites, but the kits are so perfectly put together with just the right combinations of colors that I really enjoyed working with them, and the colors complemented my October photos nicely. 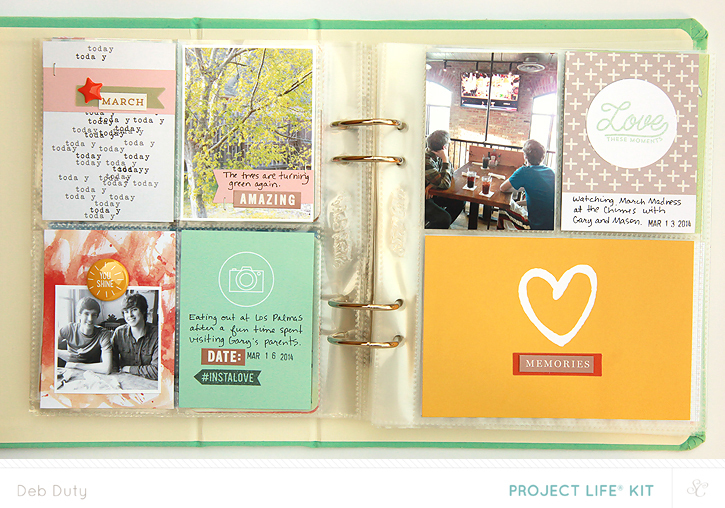 Here's a sneak of the spread I made with only the main Project Life kit. I also made a handbook spread using the Grand Central Project Life add-on. The puppy stamp is the cutest! 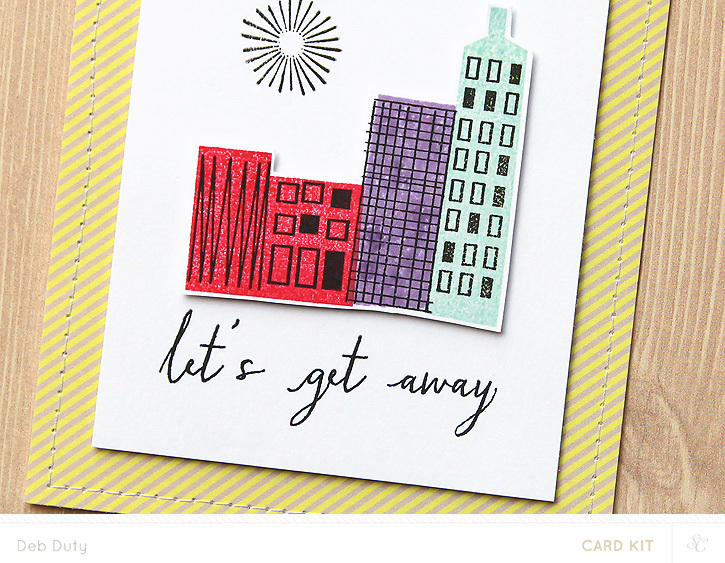 The card kits has gorgeous papers and a really fun stamp set that includes buildings for creating a skyline. 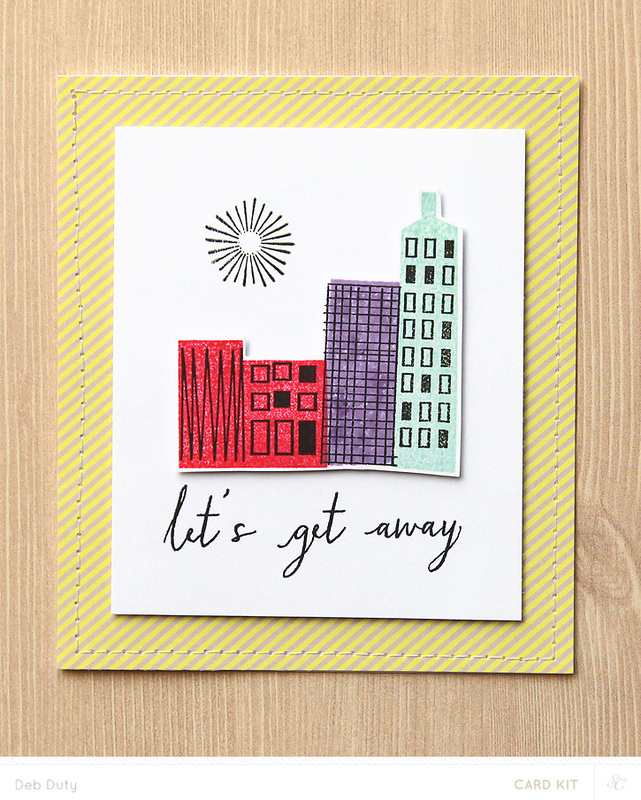 The stamps would be great for scrapbooking a trip to a big city besides all the cute cards you can make! 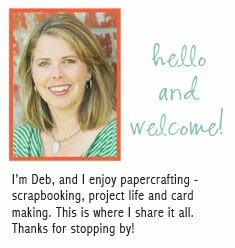 I made three more cards which I will share along with my full Project Life spreads on Thursday this week. 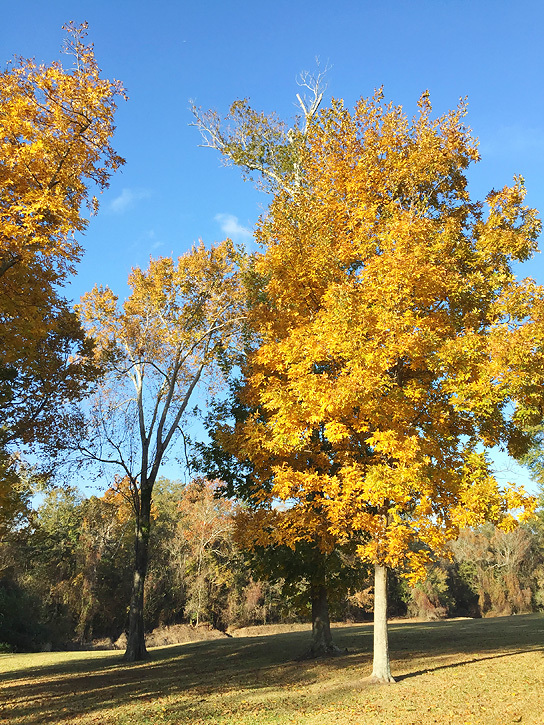 Hope you are enjoying this Thanksgiving week! I also listen to a couple non-scrapbook related podcasts - Pop Culture Happy Hour, and of course I'm hooked on the new true crime mystery, Serial. If you have any other favorites, let me know. I'm always looking for more! 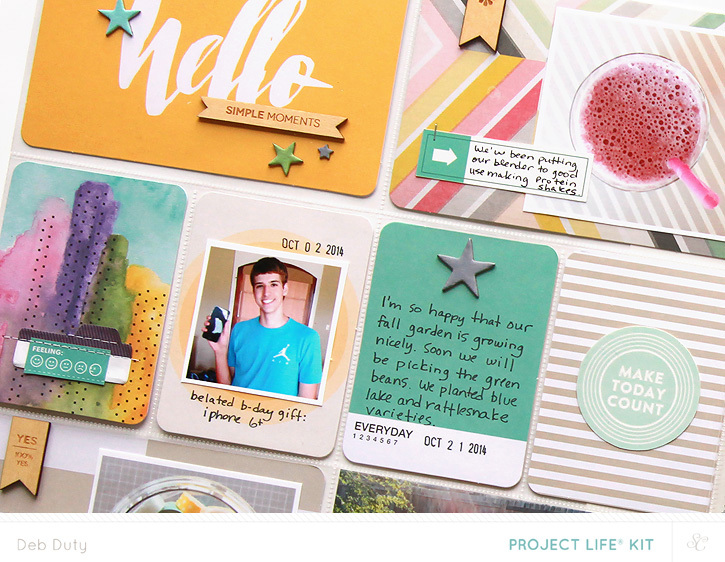 I'm really excited to share the projects I made with the Studio Calico Walden kits! (If you aren't a subscriber this link won't work until midnight Eastern tonight). The Walden gallery is live so you can check out all the projects made by the creative team now if you'd like. Here are the projects I made this month - just click on the image to take you to the Studio Calico gallery where you can see detail photos and products used. 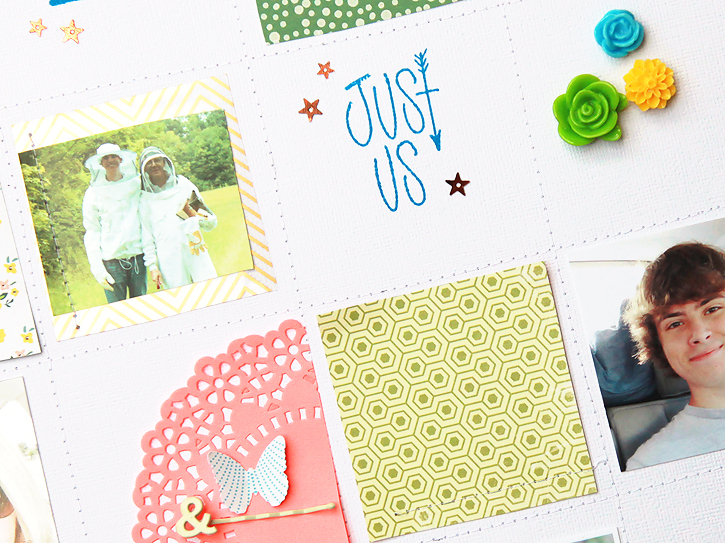 The Walden card kit has the cutest stamp set! I can't decide if I like the acorn or the apple more!! 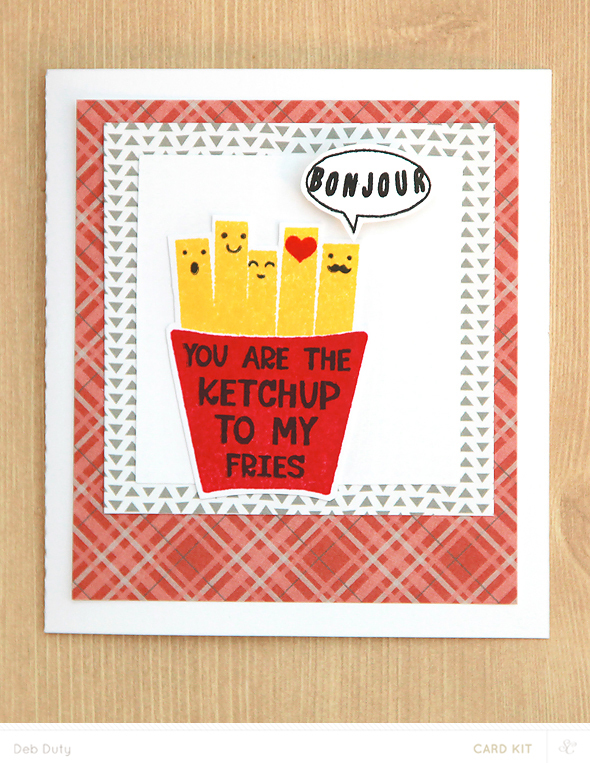 This adorable french fry stamp set is also available, and who doesn't love french fries?!! 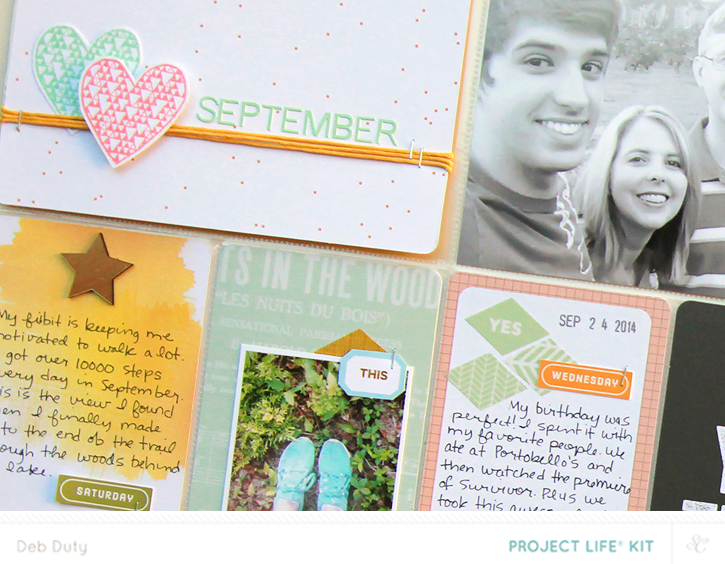 This recap of our September was created with only the main Project Life kit. 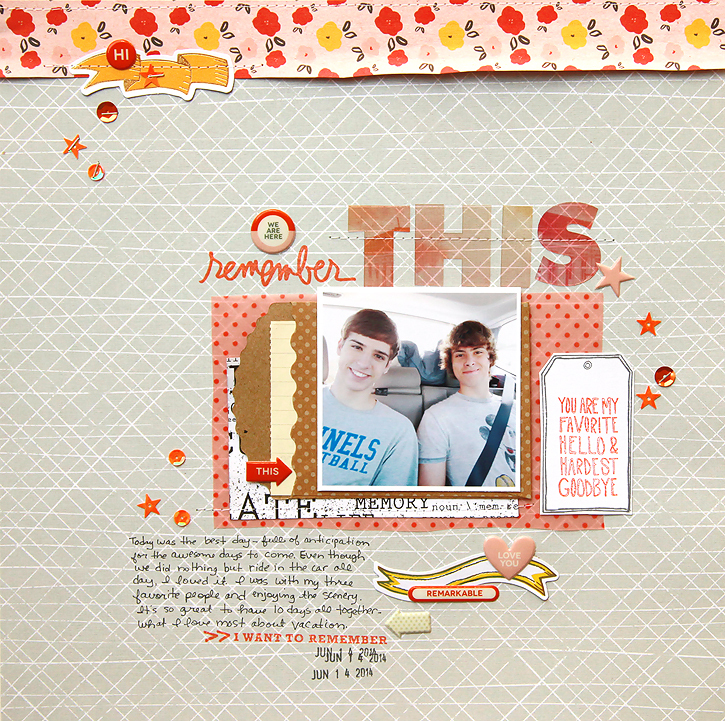 I so love the soft colors and the cute heart stamp in this kit. I also made a handbook spread about March using the Firchburg add-on to fill in some spots in the book I started earlier this year. 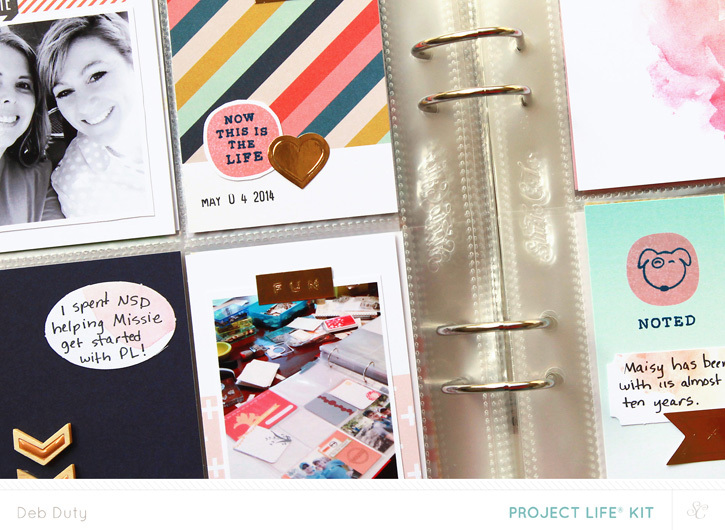 Be sure to check out the Project Life Christmas add-on, Garland Road. I'll be using it for either my Project Life pages this December or maybe a December Daily. 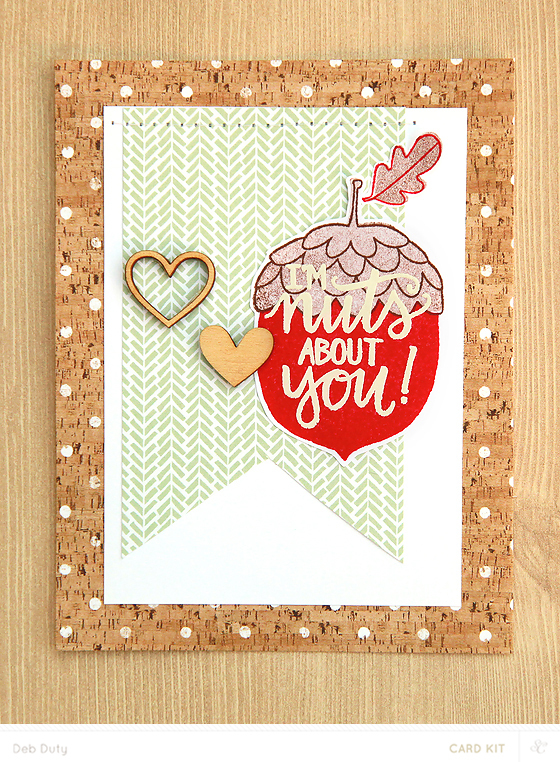 I love all that wood veneer and the adorable stamp set! What's your favorite kit this month? 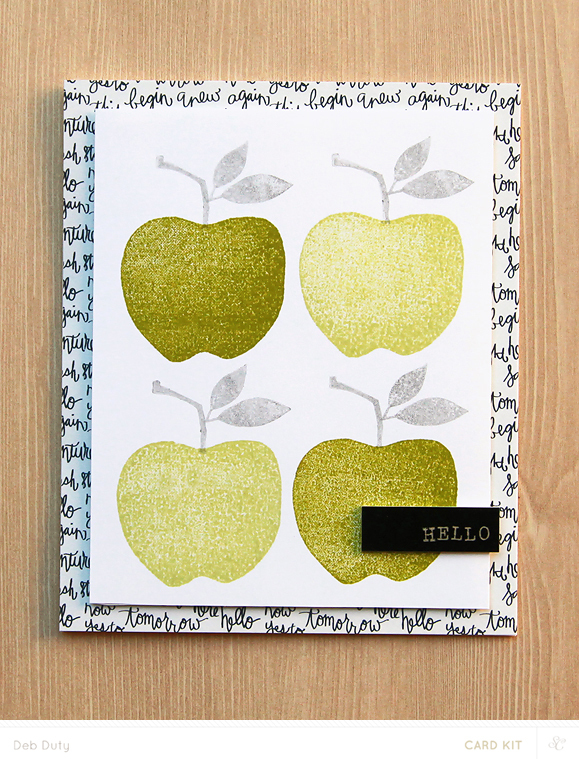 I'm going to have to choose the card kit because I just love the apple and acorn, plus the papers are really cute and the black tags are great too! Just a few more days until the Studio Calico Walden kits will go on sale! 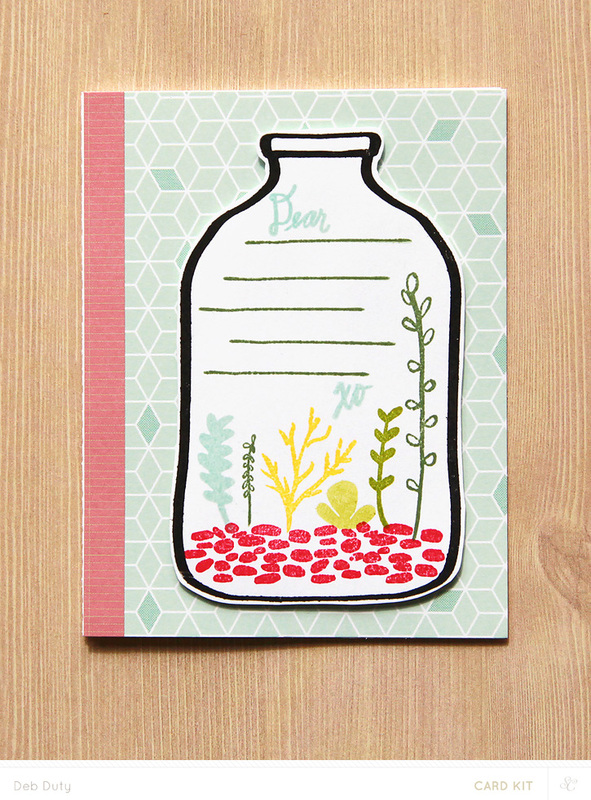 You will find beautiful colors and really awesome stamps in the kits this month. 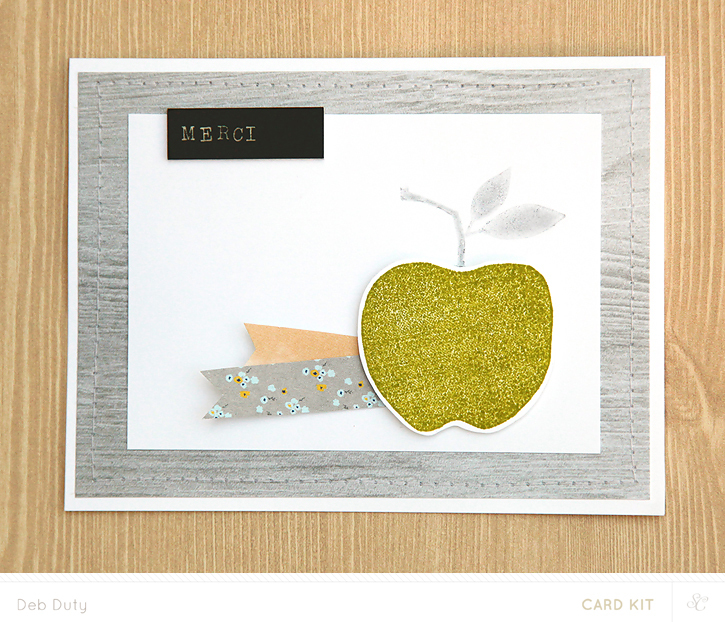 I especially loved the apple and nut stamps in the card kit! 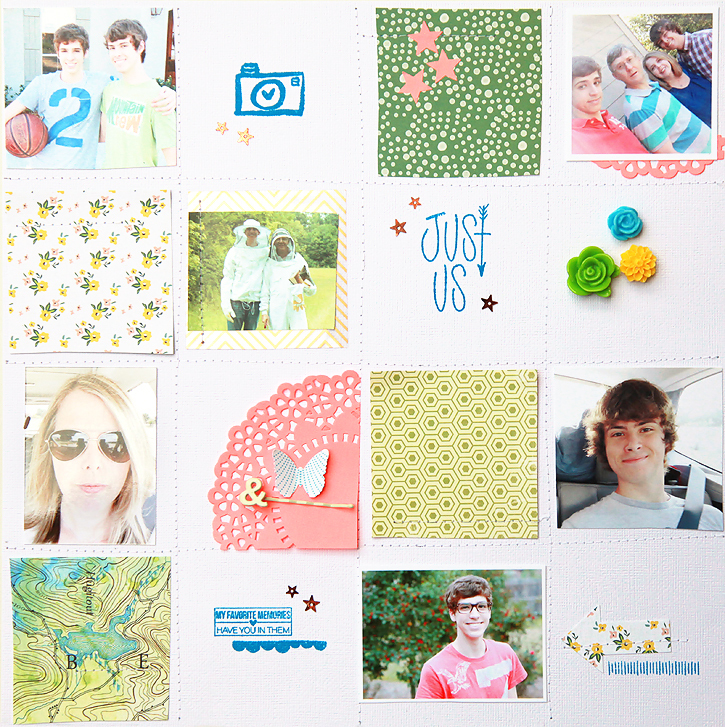 Here's a peek at what I made with the card kit and Project Life kit. Kits go on sale Monday October 27 at noon Eastern for subscribers and 12 hours later for everyone else. 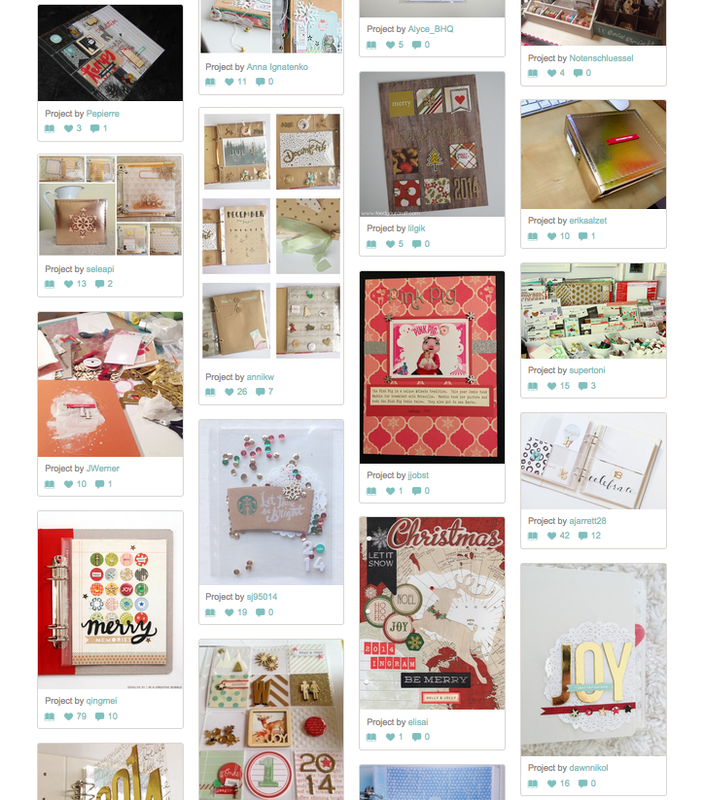 Check back then for a look at everything I made with these gorgeous kits! studio calico inspires - a giveaway!! Studio Calico inspires me to create. 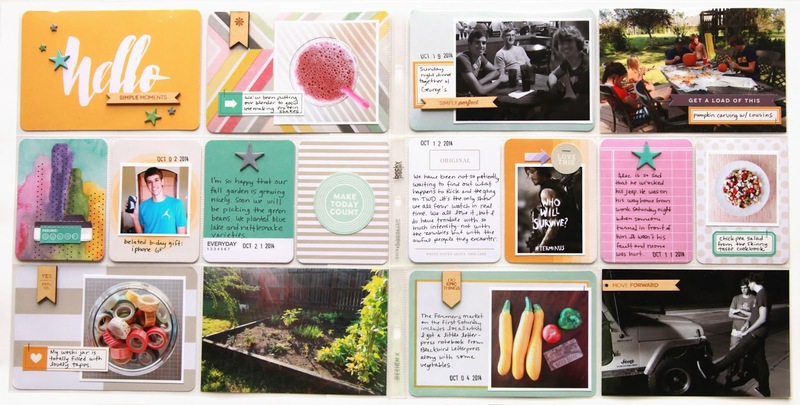 Studio Calico inspires me to document memories. 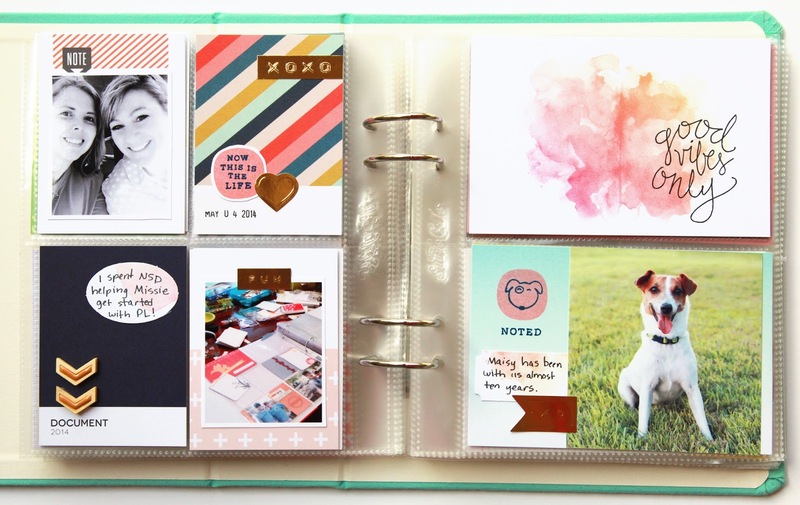 My favorite way to scrapbook is with a kit, because I enjoy the limitations of choosing from just a few supplies, and I am never disappointed in what I find in my Studio Calico kits each month! 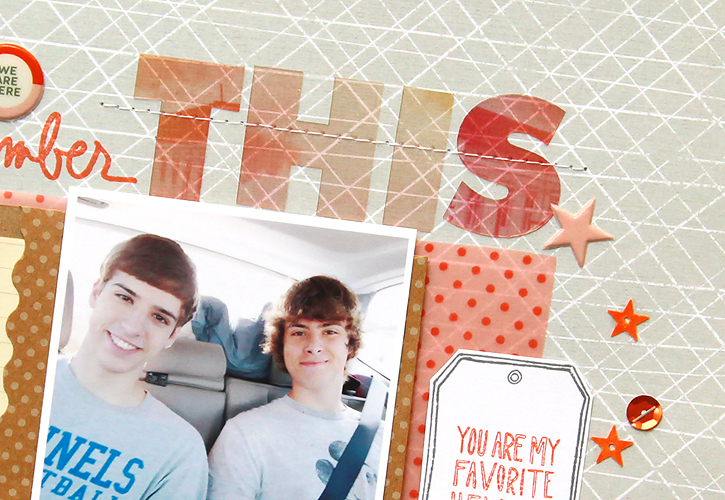 My favorite part of the Studio Calico scrapbook kits is the patterned paper. The mix of colors and patterns is always so gorgeous and so incredibly fun that I want to immediately start cutting them up and layering them and putting them all together on a layout as soon as I pull them out of the package! The Underground scrapbook kit was no exception. 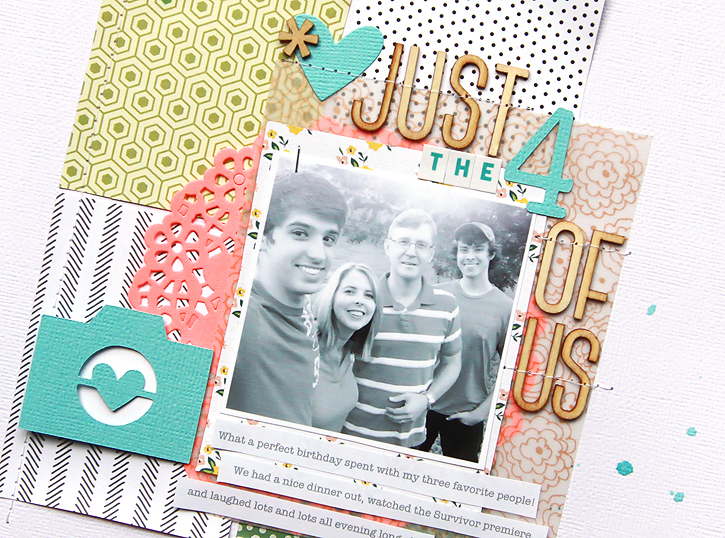 I love the combination of these papers on this layout based on a grid design with a recent favorite photo. 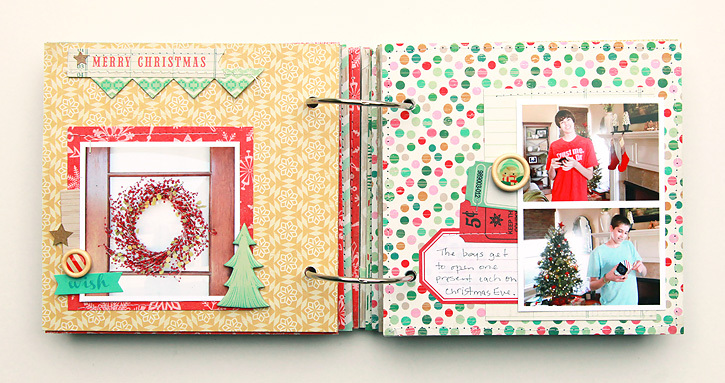 ***ETA: The winner of the Studio Calico scrapbook kit is Cristina Bacchi! Congratulations!!! 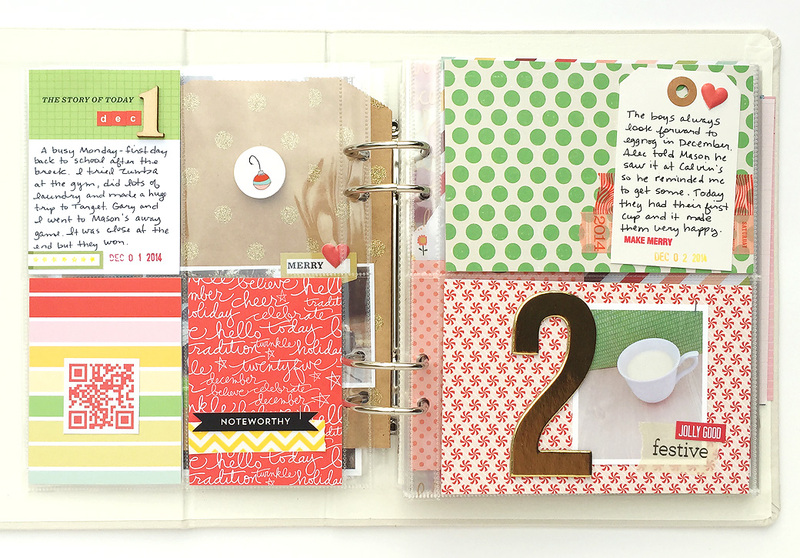 The great news is that I have an Underground scrapbook kit to give away to one of you! Just leave a comment below by Sunday the 19th at midnight Eastern time to be entered to win. But that's not all! Studio Calico is giving away over $1400 in prizes!! Entering to win is easy. 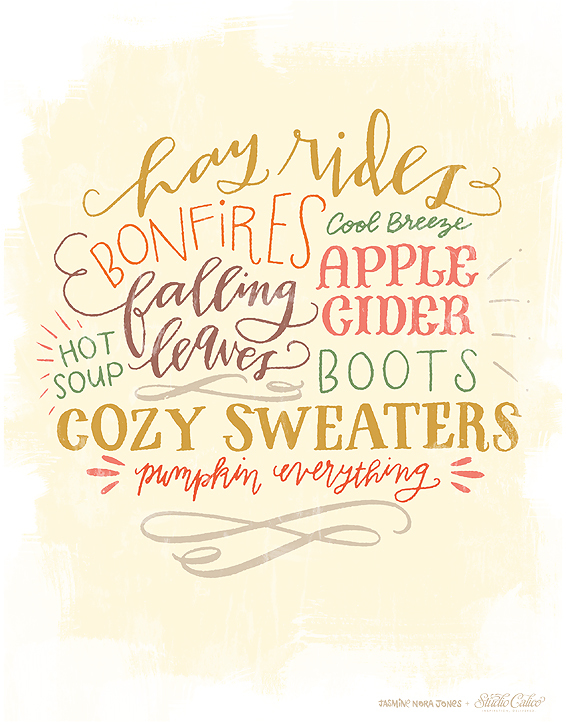 All you have to do is download this free fall printable. 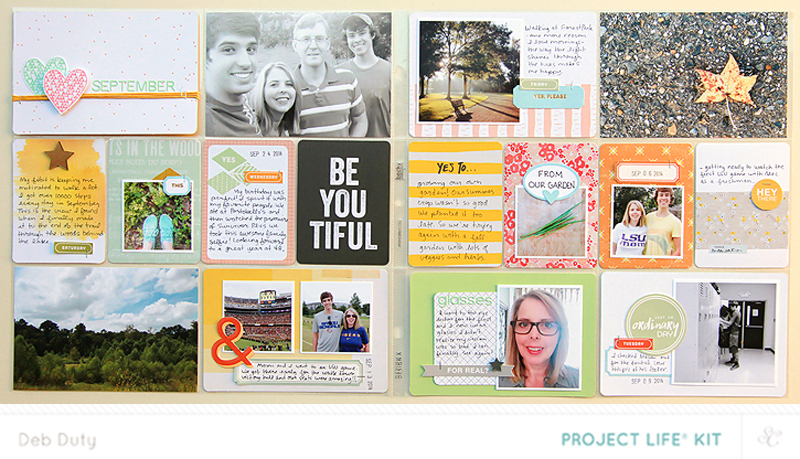 We want to know how Studio Calico inspires you! Share on instagram, twitter, facebook or pinterest how you are inspired and be sure to include the #scinspires hashtag. Here's a list of the prizes, but the list will grow as more and more people share the #scinspires hashtag! Read more about it on the Studio Calico blog! 2500 shares = 25 winners will receive a free month and a Gold WRMK album! This giveaway continues through October 31. Check out the Studio Calico blog every Friday in October to see an update on the #scinspires hashtag shares and the prizes being given away! So be sure to leave a comment on this post to be entered for a Studio Calico Underground scrapbook kit, and be sure to download the fall printable here to be entered in the Studio Calico #scinspires giveaway! This morning I checked out the Sunday Sketch on the Studio Calico blog, and I instantly fell in love with the layout sketch and the awesome layout it was based on by Elizabeth Kartchner. Now you have to understand that I am a very slow scrapper... like a whole day just to think about what I want to make, then a while picking out the photos, and then actually putting it together? Hours and hours. 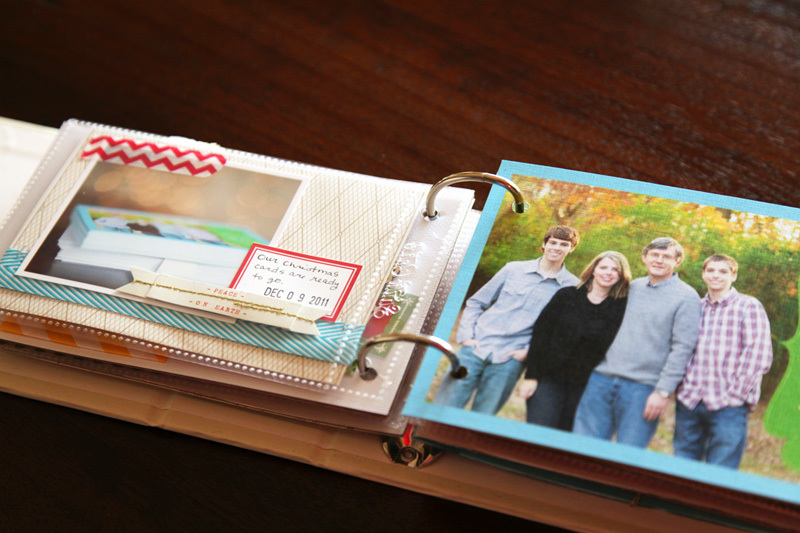 But I was so inspired by this layout I immediately grabbed some photos that I had printed earlier and got to work. The whole layout took me about an hour! 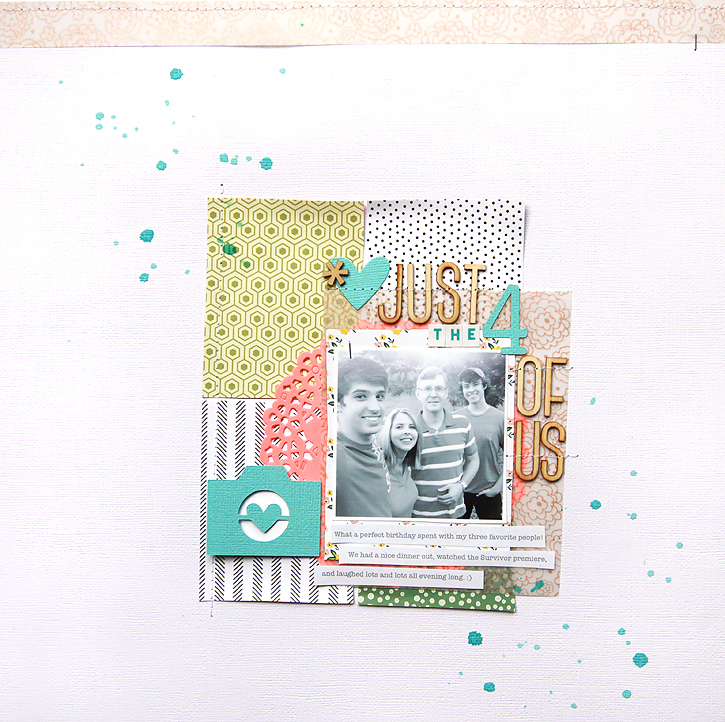 And I got to play with the new Underground scrapbook kit which I absolutely love!! So here's my take on the sketch and Elizabeth's layout. 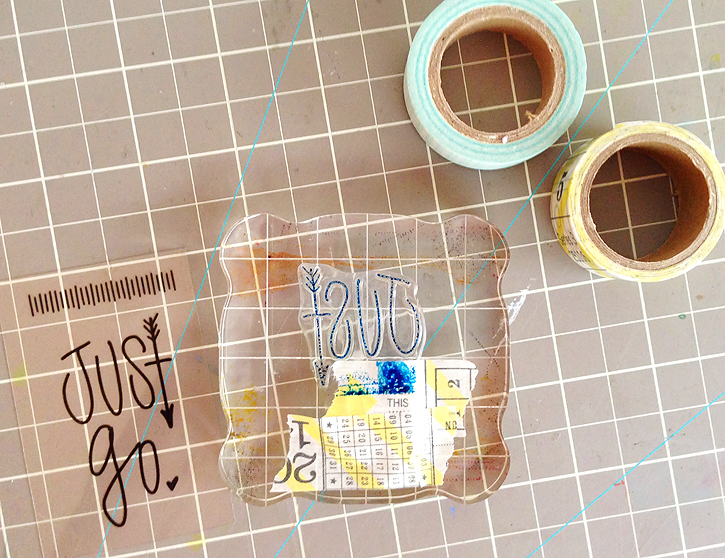 The stamp originally said "just go" but since my layout isn't really about going anywhere, I used washi tape to cover "go". Then I covered everything but "us" and stamped again. 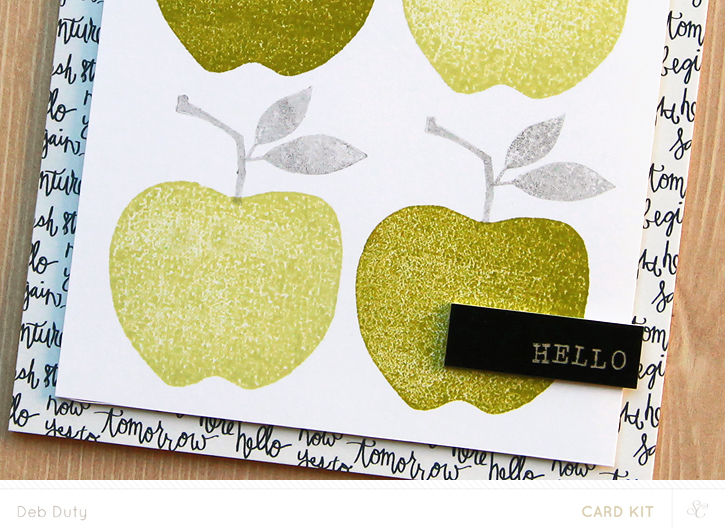 Just be sure to remove the washi before stamping because ink will transfer from the washi onto your project. Sketches or scraplifting are the way to go when you want to speed up the process! Studio Calico publishes sketches every Sunday. If you create something with any of the sketches, be sure to link your project in the Studio Calico gallery to the Sunday blog post for a chance to win a $5 gift card! Finally I took the time to make another layout! It's been way too long. 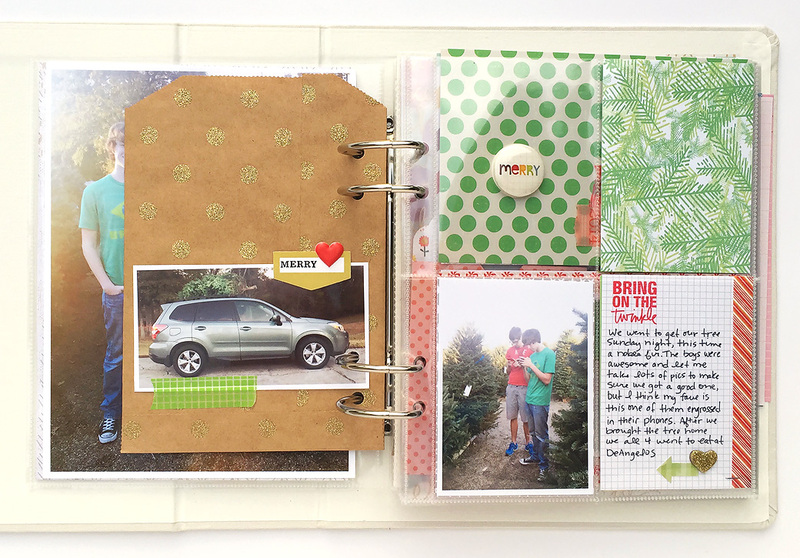 I've still been making cards and working on Project Life, but I've missed the fun of creating a big 12x12 page and my scrapbook kits from Studio Calico are starting to pile up. :) I have especially been inspired lately by Ali Edwards and her Story Stamps. The videos and inspiration she provides with the monthly subscription really made me want to make something, and not just any layout, but one that tells a story. So I chose to document how much I enjoy our vacations, even the days when we are in the car all day long. The kraft envelope contains some of the notes I took during the car ride that day. To attach the acetate alphas, I first adhered them with washi tape before I sewed them to my page with my sewing machine. Because I had a little longer journaling this time, I first wrote in pencil and then wrote with my Precision Pen on top. That way I knew it would fit in the space, and I didn't have to worry so much about messing up. I erased afterwards with a white eraser.